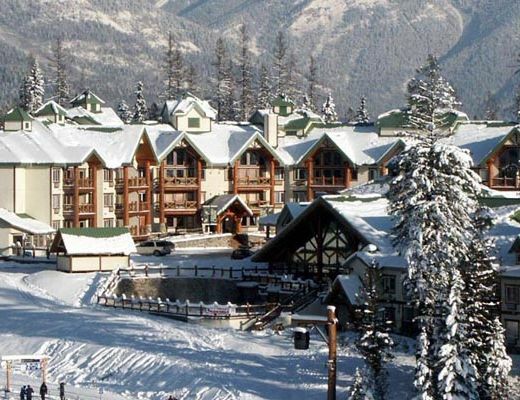 Providing you with amazing ski-in/out access and a seemingly endless list of amenities, this Lizard Creek condo promises a delightful Fernie Alpine Resort vacation. With impressive mountain views and cozy interior finishes, this rental property is sure to provide a pleasant lodging experience. Beautifully decorated and featuring all the comforts of home, this charming one bedroom unit promises comfortable accommodations in an inviting setting. Surrounding you in natural beauty, this property brings elements of the outdoors in and pairs them perfectly with modern niceties. Ensuring you have all the comforts of home, the fully-equipped kitchen offers easy meal preparation, while the living room features relaxed furnishings, the perfect space for entertaining family and friends. The well-appointed bedroom and bath provides modern fittings and fixtures while ensuring rest and relaxation for up to four guests. For your added enjoyment and convenience, the lodge provides guests with access to a heated outdoor pool, hot tub, steam room, workout facilities, world class dining and 24 hour guest services.